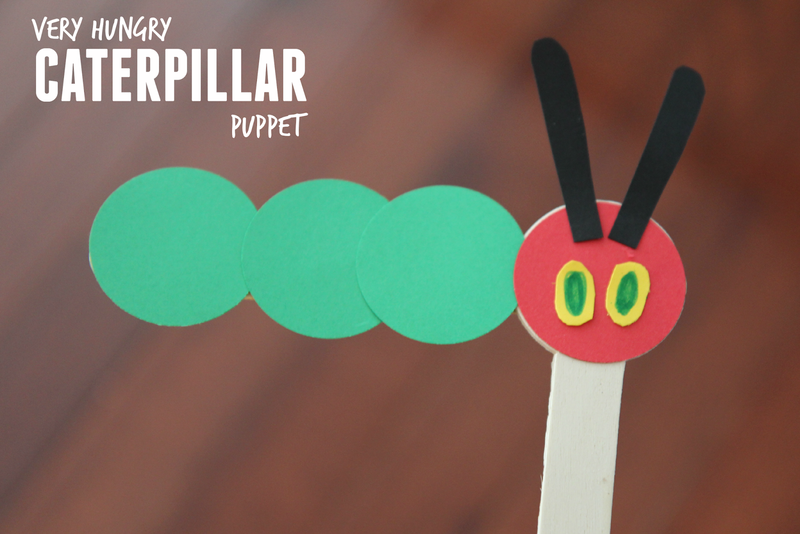 Last week we shared a Very Hungry Caterpillar Name game and on yesterday we shared a simple cardboard butterfly craft inspired by Eric Carle. 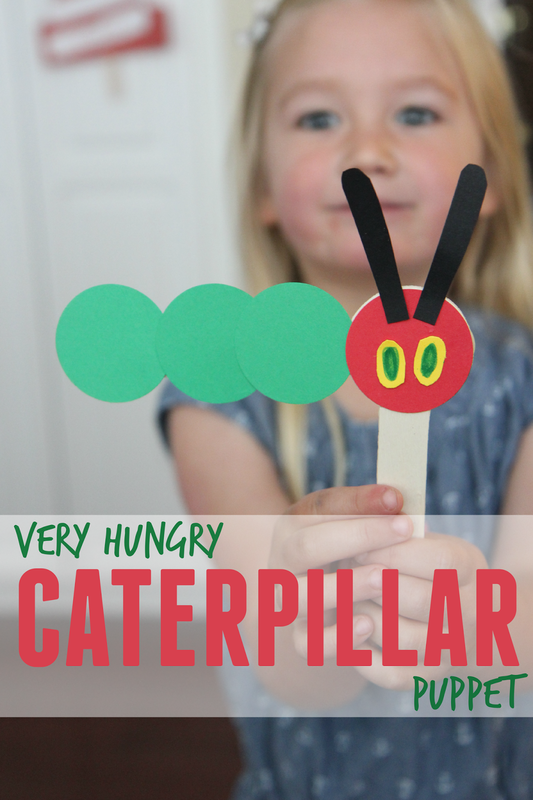 Today I am excited to share this super easy Very Hungry Caterpillar puppet craft that we made as part of our little preschool last week. To create the puppets first you need to glue two craft sticks together to make an L shape. Next you can punch out the green and red paper into circles and then stick them onto the front to make a red face and three green circles for the caterpillar body. Once everything is glued together your puppet is ready to be played with! We had so much fun making our puppets go around the house and try and eat everything and act out the story from the Very Hungry Caterpillar. If you like the Very Hungry Caterpillar then you might also enjoy these 25 other fun and awesome Very Hungry Caterpillar activities. Do you have any other favorite books by Eric Carle or any other favorite Very Hungry Caterpillar themed crafts or activities?